Utilizing computer telephone integration with stable data solutions is essential in today's marketplace. 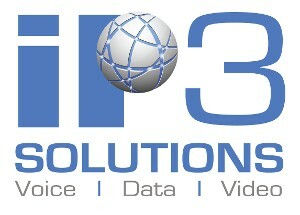 IP3 SOLUTIONS - VOICE DATA VIDEO in Charlotte, North Carolina, is the leading provider for advanced telecommunication systems that will help keep your business ahead of the competition. We even have advanced video conferencing solutions available to ensure you have face time with remote clients and employees. Our Network Services Division provides ongoing analysis of local and long distance services to ensure you are always receiving the best value from any carrier. Our analysis is free and includes rate quotes from some of the best local and long distance carriers in the industry. To ensure that you are continuing to get the best rates from our recommendation, we will analyze your billings at least twice per year at no charge to you. Our Integrated Services Department can analyze your long distance traffic and data complement between branch offices to determine if you can cost justify a corporate voice/data network. Many times these networks are cost justified immediately by eliminating long distance calls made between the branches of your organization. Our recommendations encompass cyber, dedicated circuits, and wireless solutions.